Tundra Books is exhibiting at TLA Annual Conference for the first time this year and we’d love for you to give us a big Texas welcome. Please say hello to our wonderful marketing and publicity manager, Vikki VanSickle and our marketing and publicity coordinator, Sylvia Chan at booth #2505. We’re nestled between Penguin Random House and Publishers Weekly, a cozy spot! Vikki and Sylvia will be happy to tell you about our new and upcoming books or to answer any questions you may have. Tote bags: Tundra’s 50 anniversary! And of course, we have an author signing! Jo Ellen Bogart will be there signing Count Your Chickens on Friday while quantities last. Follow @TundraBooks on twitter or instagram. You can also follow #txla17 for the latest news and updates! 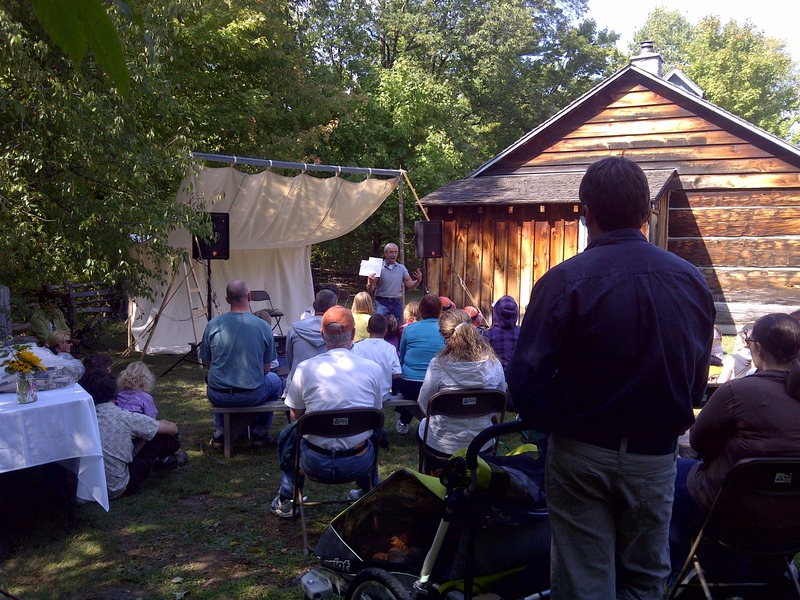 On Sunday, September 18th the third annual Telling Tales Festival took place in Westfield Heritage Village in Rockton, Ontario. Hundreds attended and there was no shortage of things to do in this replica of a 19th century village which was also a filming location for the popular Anne of Green Gables film series. Many authors including Tim Beiser, Jo Ellen Bogart, and Robin Muller read from their books and the staff of the Village demonstrated crafts and trades that were common for the time. On behalf of everyone at Tundra Books, a huge thanks to the organizers, staff and volunteers of the Telling Tales Festival and of Westfield Heritage Village for a fantastic day! Author and artist, Robin Muller presents original sketches of his stunning picture book, The Nightwood, outside the One Room School House. Author and Storyteller, Itah Sadu performs to a rapt audience at the Bandstand. 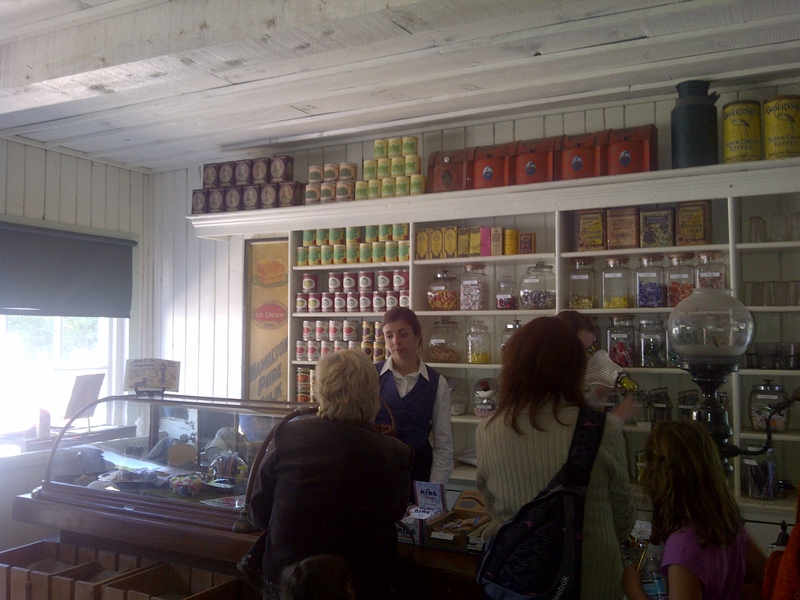 The general store was well stocked with candy and other treats! 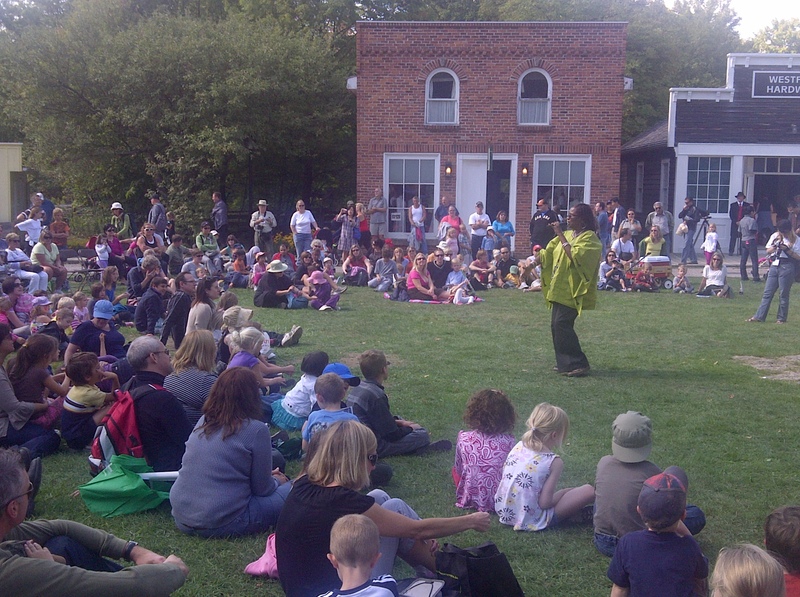 This year, the 3rd annual Telling Tales: A Family Festival of Stories is being held on Sunday, September 18, 2011 at the Westfield Heritage Village. Gates open at 9:30am and the festival ends around 4:00pm. You don’t want to miss it, Telling Tales won the 2010 Tourism Hamilton Award of Excellence – Festival of the Year! Tim Beiser was born on April Fools’ Day in Los Angeles, California. After earning a degree in Economics at Rocky Mountain College in Montana, he moved to New York City where he spent sixteen years as a playwright and science fiction short-story writer. He was a writer-in-residence at the Helene Wurlitzer Foundation of New Mexico, and he founded the creative writing studio The Writer’s Workout in Manhattan. Like most New York artists, Tim has had many day jobs: a pastry chef, an architectural draftsman, a college teacher, a waiter, a nightclub performer, a computer repairman, and, lastly, an emergency medical technician for the Fire Department of New York, driving an ambulance. Tim received a B.A.A. in Journalism from Ryerson University and started a career as a freelance magazine writer. For his work in such publications as National Post Business, Toronto Life, Elm Street, Reader’s Digest, and Saturday Night, Tim has been nominated for four National Magazine Awards. Bradley McGogg, the Very Fine Frog is his first book for children. Tim Beiser is the proud dad of twins Rowan and Daniel, and he and his family split their time between Toronto, Canada and Grignan, France. Jo Ellen Bogart is the author of many best-selling children’s books, including Big and Small, Room for All; Jeremiah Learns to Read; Daniel’s Dog; and Gifts. She has degrees in elementary education and psychology from the University of Texas, and she now writes full time. Jo Ellen has won the Ruth Schwartz Award and has been shortlisted for the Mr. Christie’s Book Award. Her first book for Tundra was a biography of Maud Lewis called Capturing Joy: The Story of Maud Lewis. Born in Houston, Texas, she now lives in a pet-filled home in Guelph, Ontario. Robin Muller is an internationally acclaimed author and illustrator of children’s books. He received the Studio Magazine Award for Illustration (silver) for The Nightwood, the Governor General’s Award for The Magic Paintbrush, and the 1995 IODE Award for The Sorcerer’s Apprentice. He was a medalist for the Ezra Jack Keats Memorial Award. Robin Muller lives in Toronto. Click here for photos from the festival’s first year! Cosmo is a dodo who was born on the island of Mauritius. But the fearless, flightless birds were no match for humans and their guns, and about three hundred years ago, dodos became extinct. Cosmo is the last of his kind, and since he knows firsthand the toll that people can take on Earth’s species, he becomes a champion of the environment. In fast-paced text and eye-catching art, the Adventures of Cosmo the Dodo Bird encourages children to learn about their environment and the reason why it is important for them to protect it. Pub Date Giveaway: Which book would you love to read? Leave us a comment below and one lucky reader will receive a copy of their requested book, courtesy of Tundra! One request per person and please review our rules. The Adventures of Cosmo the Dodo Bird will be given away as a set of four. Please specify if you want the picture book set or the chapter book set. The Sindbad books will also be given away as a set of three. 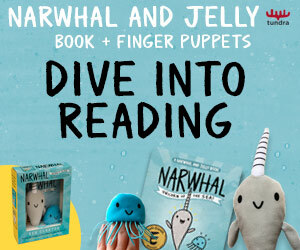 This giveaway ends at midnight on Thursday, May 12, 2011! 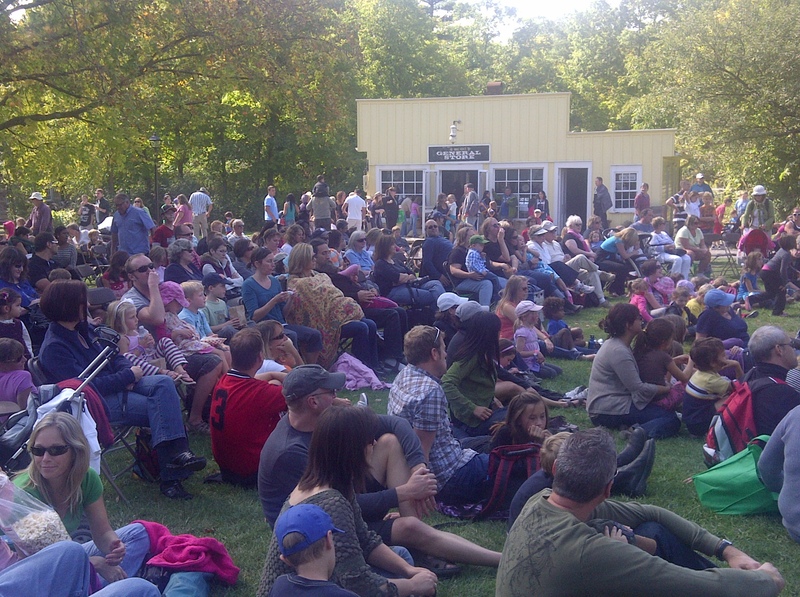 This year, the 22nd Eden Mills Writers’ Festival is being held on Sunday, September 19, 2010 from noon to 6:00pm. Where is Eden Mills you may ask? It is 15 minutes east of the city of Guelph and 5 minutes west of Rockwood. The festival is outdoors, so we would recommend bringing a lawn chair (fold-up ones work best) or blanket for seating, an umbrella (just in case! ), a water bottle, and cash (there’s no bank machine) to buy books, souvenirs, and food. Parking is free! Click here for some photos from last year’s festival!